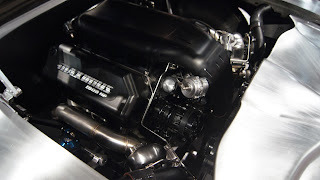 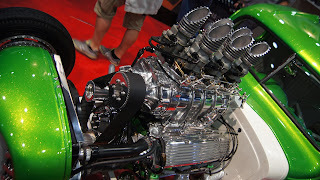 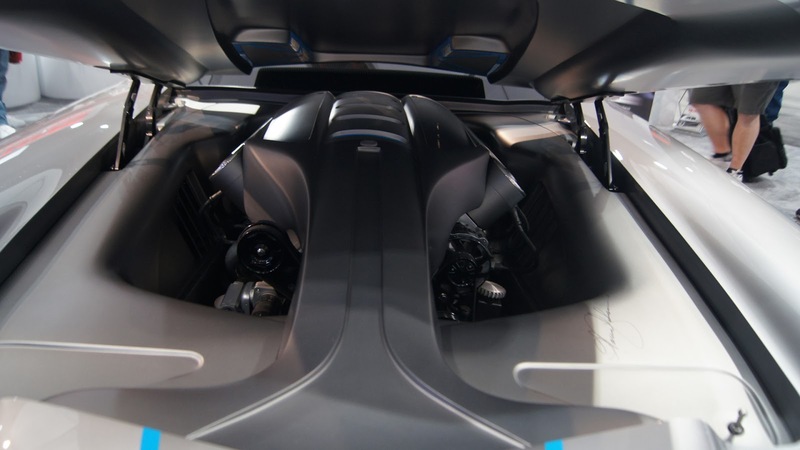 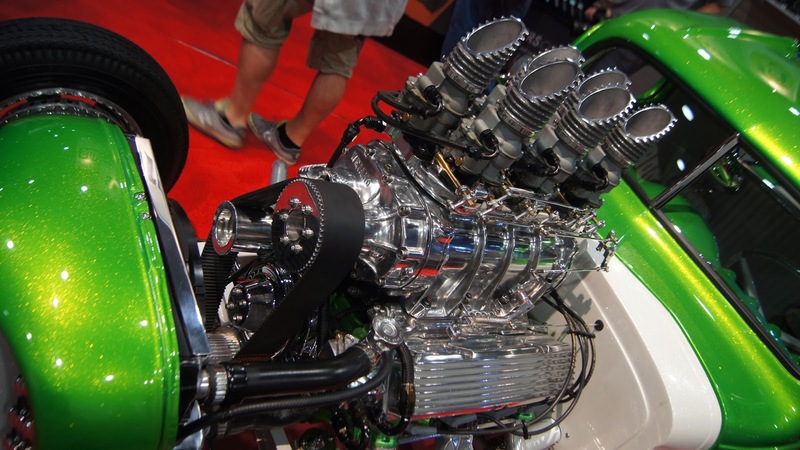 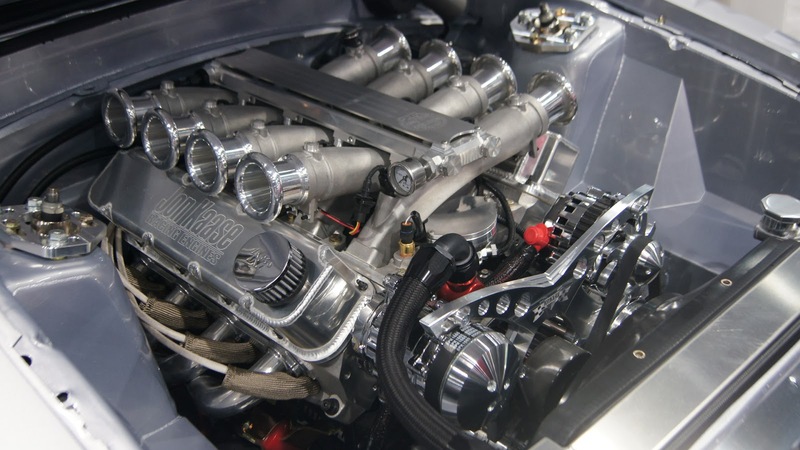 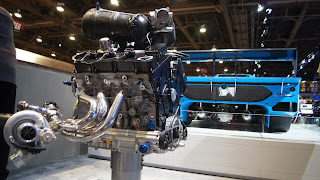 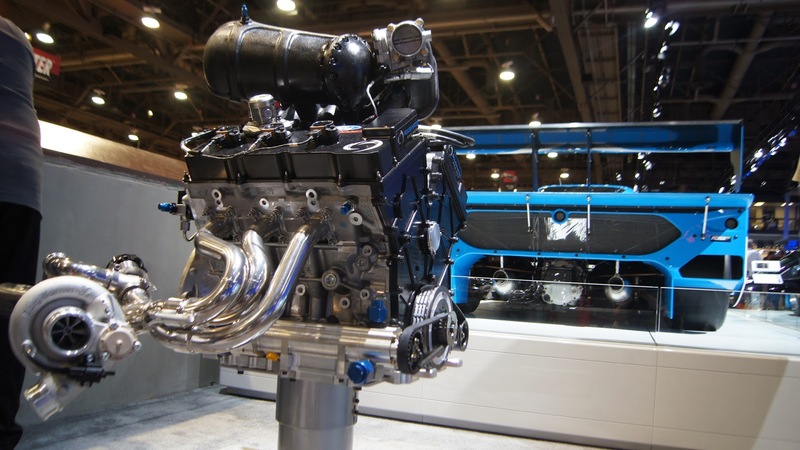 One of the highlights of SEMA for us, and I'm sure most all other motorheads, is the simply jaw dropping engines that are on display. 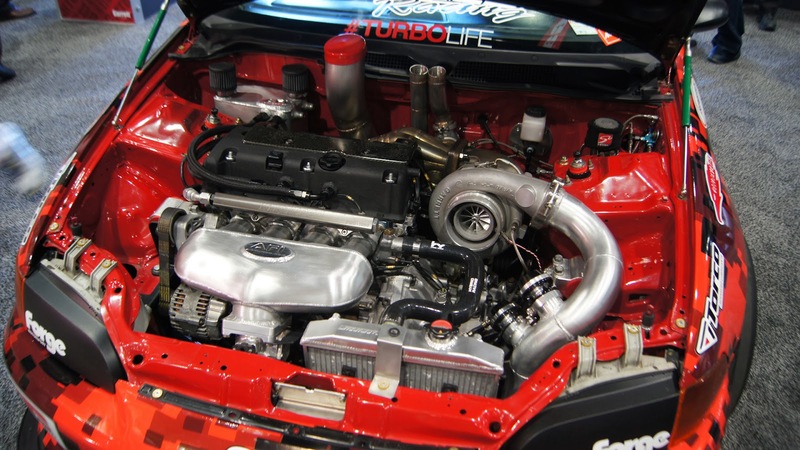 From imports, euros, to the ever so clean pro-touring styled domestics there is no shortage of horsepower on display. 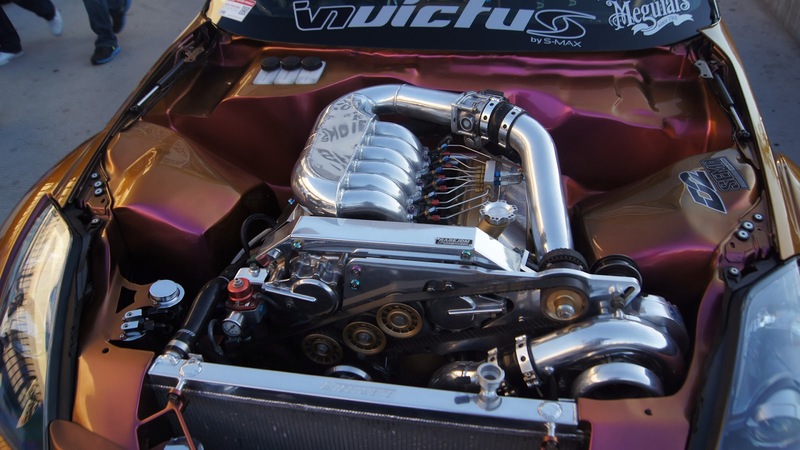 First off we have the cleanest engine bay in all of FD, Mr. Wangs 2JZ powered S14. 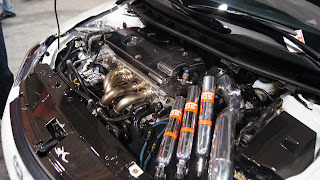 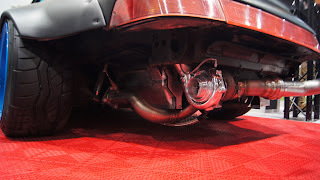 This LS setup was in a Hyundai Genesis! 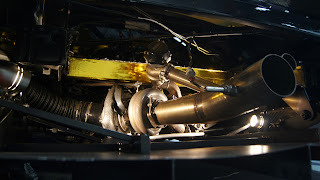 FX Motorsports time attack NSX turbo setup. Interesting way to mock up headers. 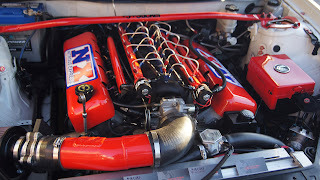 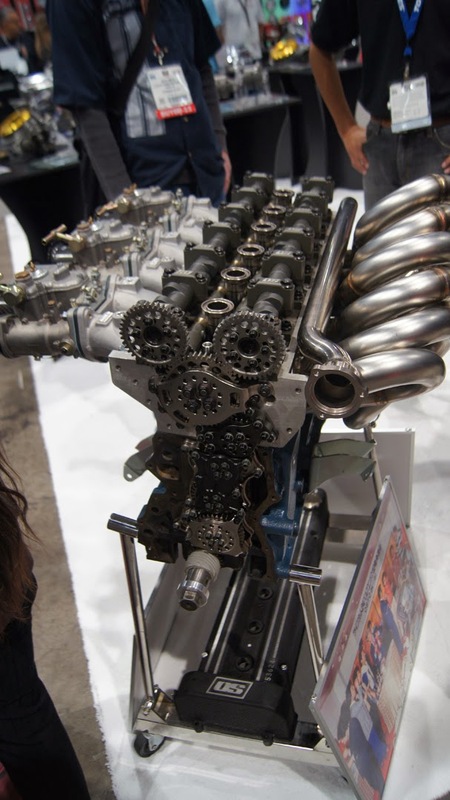 Race car engines, dry sumped, twin turbo, engineering at its finest. 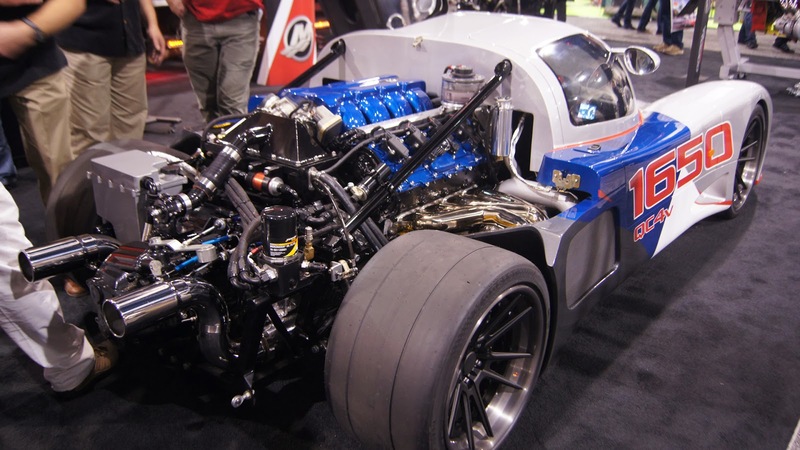 There is no shortage of weird random things at SEMA that really make you scratch your head. 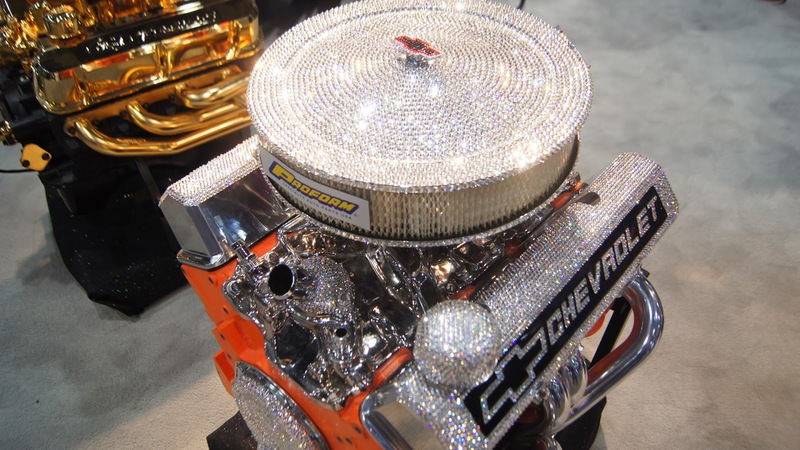 Rhinestoned out small block Chevy anyone?? 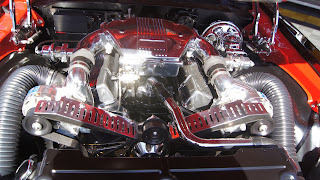 One of my favorites of the show. 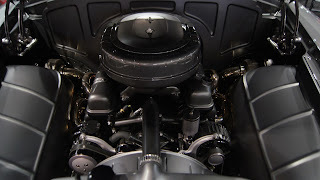 55 Buick Special, spot the two snails in the back there! 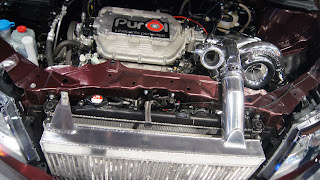 Awesome setup on this MK1 Golf, boosted with a Garrett turbo. 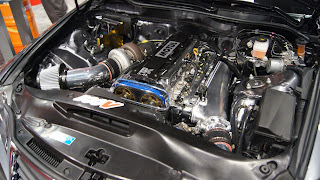 EG Civic Hatch, with a K series swap rocking a huge Garrett Turbo. 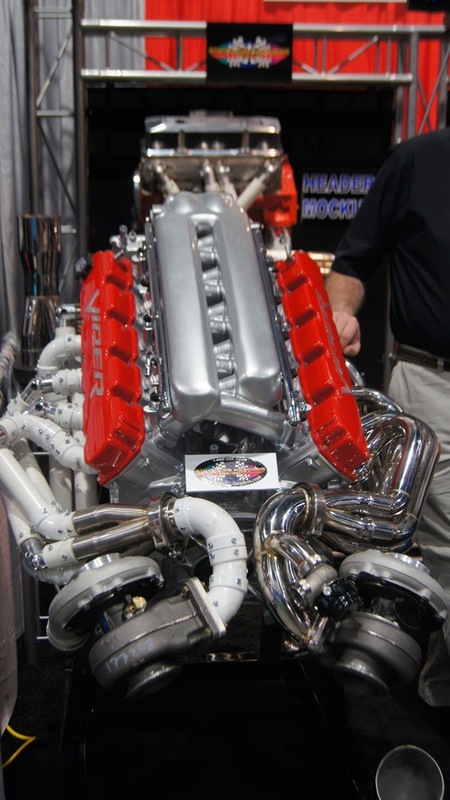 To feed 2000hp you better have a serious fuel system. 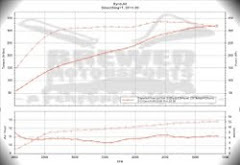 This car had a full billet gas tank with the option to run 116 octane on the fly to make that 2000whp happen! 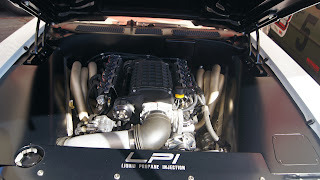 New Lexus GS340. That is a brand new Lexus GS with a 3.4L 2JZ swap. 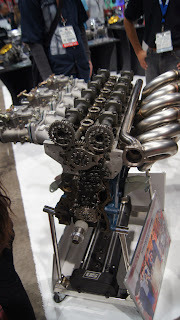 OS Giken, the dream engine right here. 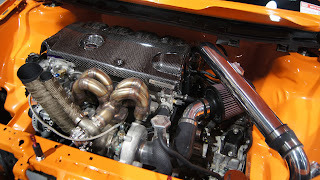 S20 with full gear driven timing setup. No belts or chains here. 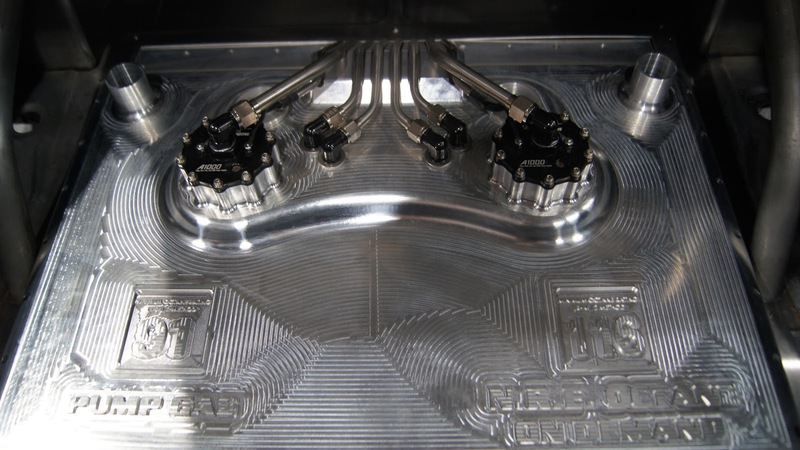 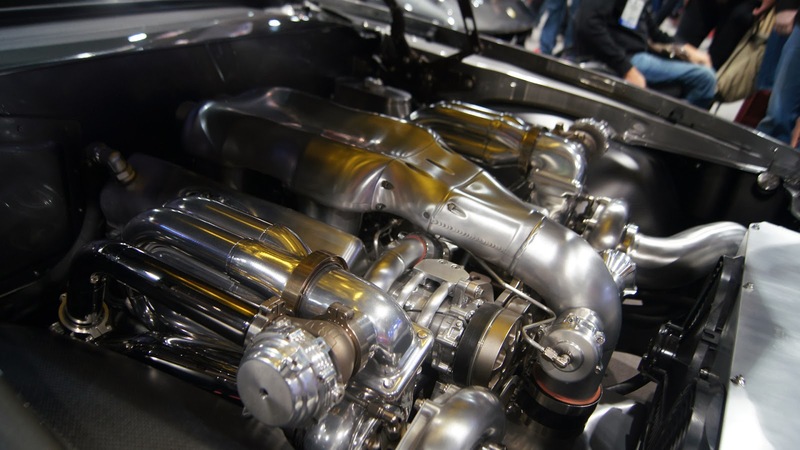 Titanium headers that are purely a work of art, being fed by trio of Mikuni side draft carbs. New custom car using a Ford crate engine with a couple turbos making upwards of 700whp. 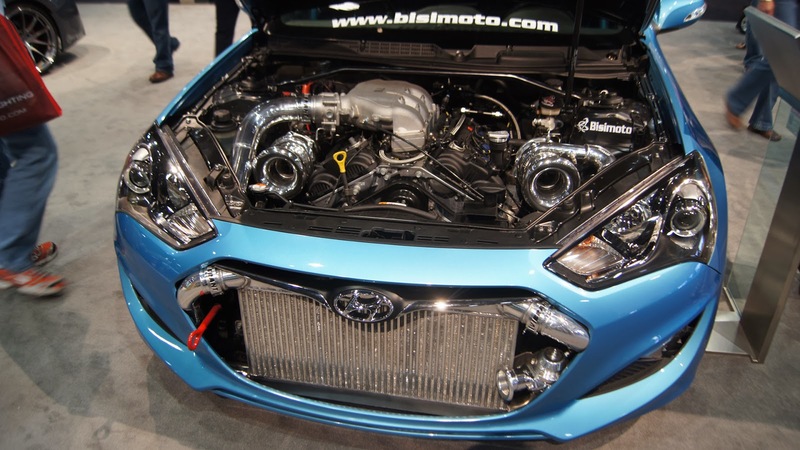 Well we hope that left you trying to find a way to get more boost! As always we are here to help your power goals become a reality. 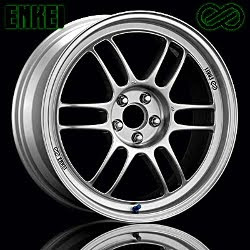 Browse through our store, www.brewedmotorsports.com, give us a call 888-290-3213, or shoot as an email sales@brewedmotorsports.com. 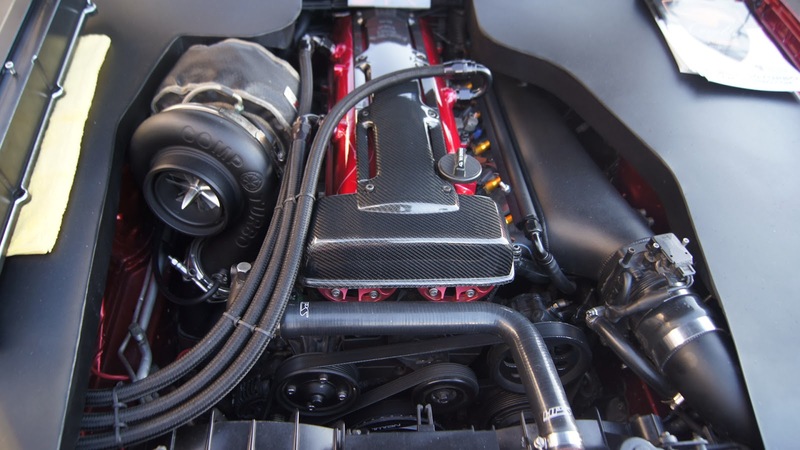 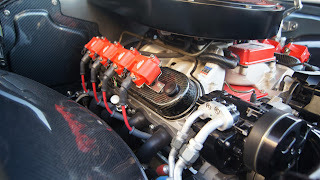 Or if you have an engine already setup, ready to make that power, we offer full tuning services to get you on the road and making power reliably and consistently. 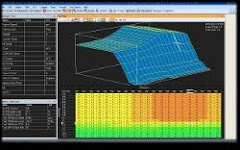 Check out our tuning services.